Introducing Hurdy-Gurdy, UGears newest creation that is completely different from all the previous models. It’s not a vehicle, or it is a nifty knickknack, or even a mini town. 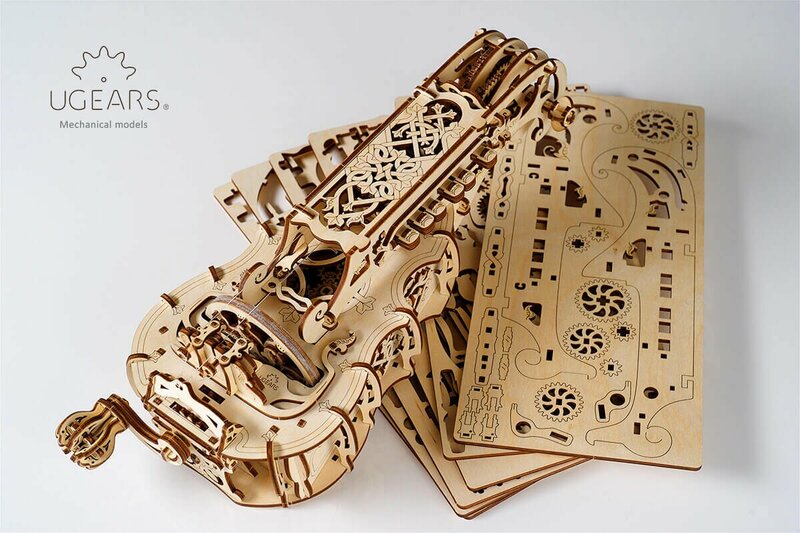 Hurdy-Gurdy is the actual string musical instrument: The world’s first wooden fully-functioning mechanical model that is all-in-one, a model for assembly, a puzzle, a toy and a completely functioning musical instrument. 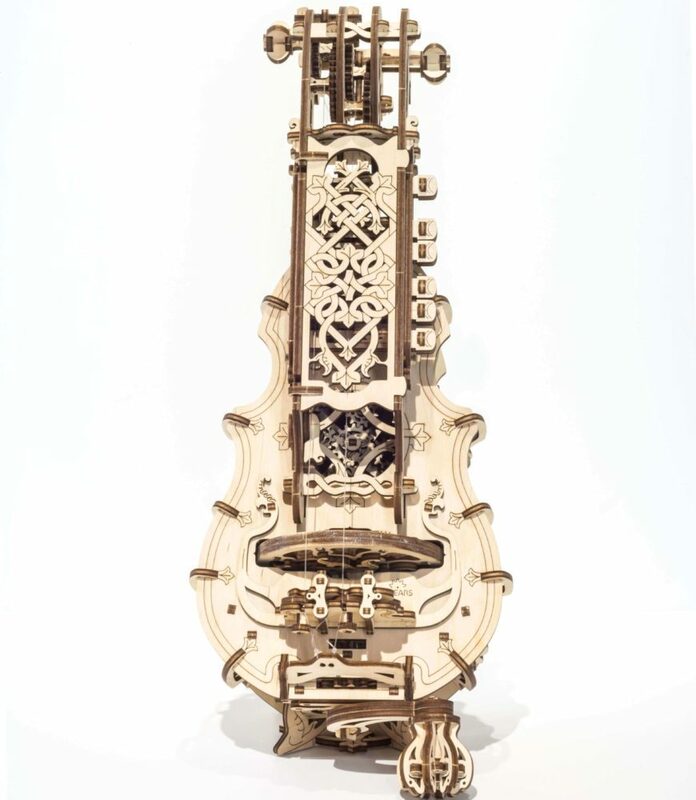 The idea of creating Hurdy-Gurdy takes us back to 16th century France, where this organistrum started its journey. 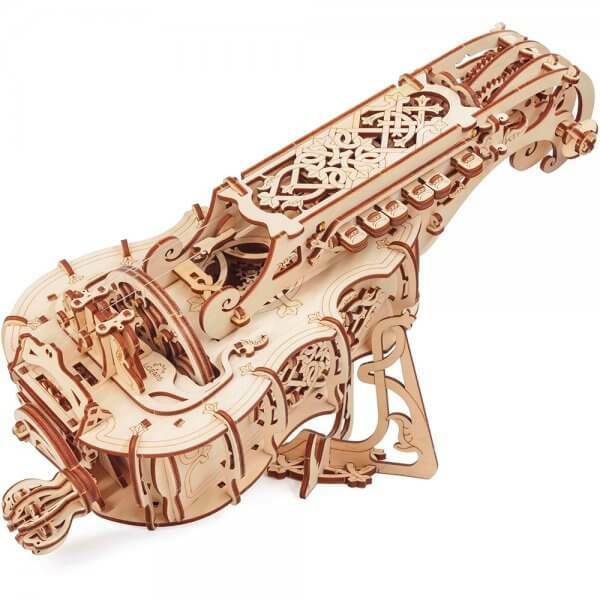 This model is an exact replica of medieval French instrument, however unlike its original, UGears Hurdy-Gurdy features intricately detailed exquisite decor, that makes this model not only an instrument, but an esthetically pleasing work of fine craftsmanship. With this model its easy to play dancing melodies, from folk to modern. To get the music flowing, the player just needs to crank the handle with one hand while using fingers on the other hand to push the wooden buttons. We included some tablature with each kit to set off a good start. Santa (myself) got this for me for Christmas. 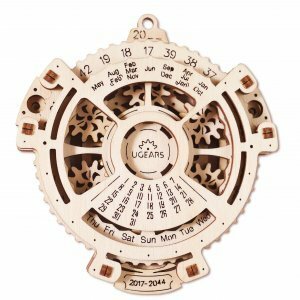 Santa also purchased a few other Ugears for my husband as well. I haven’t completed it’s assemble yet but so far it’s an amazing product. The instruction come in color and they are very detailed so it’s very hard to mess up. Their customer service is also impeccable. I had to speak with Dmitriy during my purchase and after the holiday and he was so nice! I also really love their replacement part service. It’s nice to know that they will send you a part if you accidentally break it during assembly. 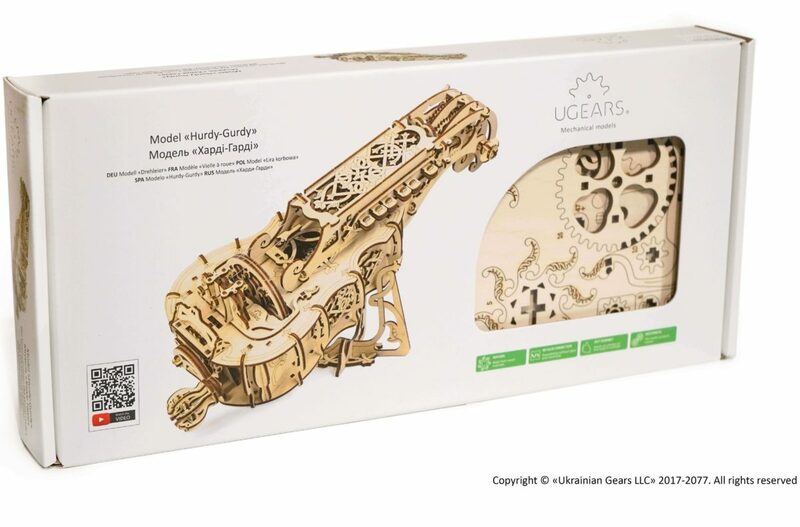 I think we have become in love with these mechanical puzzles and I know I’ll be buying more from Ugears, that is for sure. My kids loved helping me building the Hurdy-Gurdy and they now love hearing me play it before they fall asleep. It’s incredible how such an old instrument has been reincarnated to become such a well-loved toy/puzzle by kids as young as eight! When I gave this gift to my twelve-year old son for Christmas, he could not have been more ecstatic. He had always loved puzzles, but he finished the simple 2D ones in a matter of minutes. 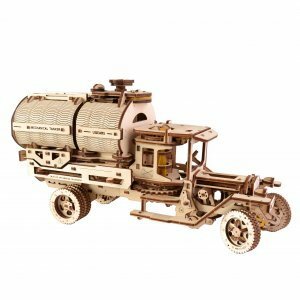 I decided to give him something more compacted, and when my wife showed me the Hurdy-Gurdy on a website, I knew it was the one. When our son opened his gift on Christmas morning, he sat right there on the floor and began to build it. It’s such a nice gift for creative minds. There is a lot of angst within my family and it usually explodes into a heated argument. 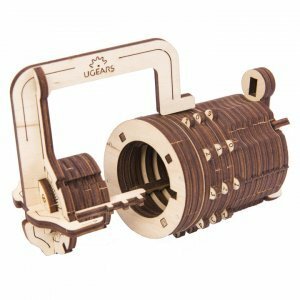 When I told my mom about the Ugears Hurdy-Gurdy, she couldn’t be more delighted. For once, it was not another video game or a new app (mine and my brother’s time spend on our phones and laptops always fires up an argument with our parents). With Hurgy-Gurdy we spent days working on it together and it made me happy to see all of us not arguing for once. 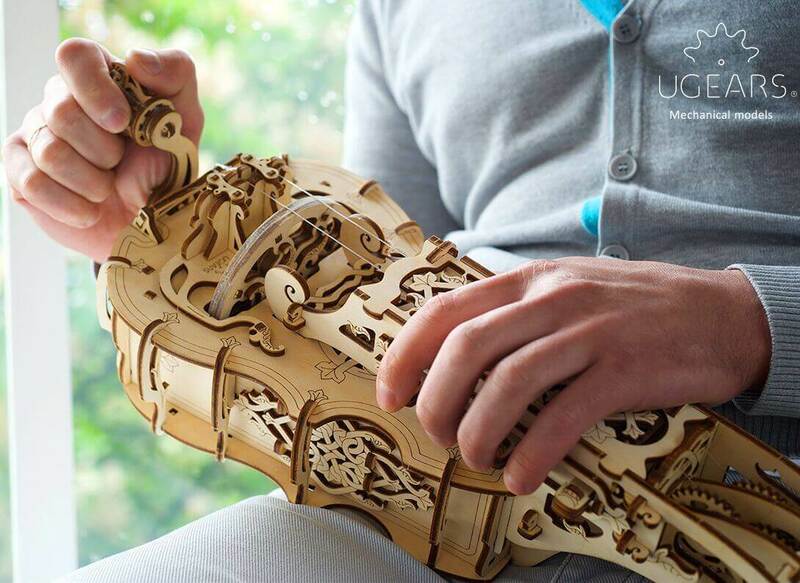 After a long day at work, I love coming home to a calming Ugears 3d puzzles. In fact, I became quite addicted to them! I especially love the Hurdy-Gurdy because of the outcome it gave. 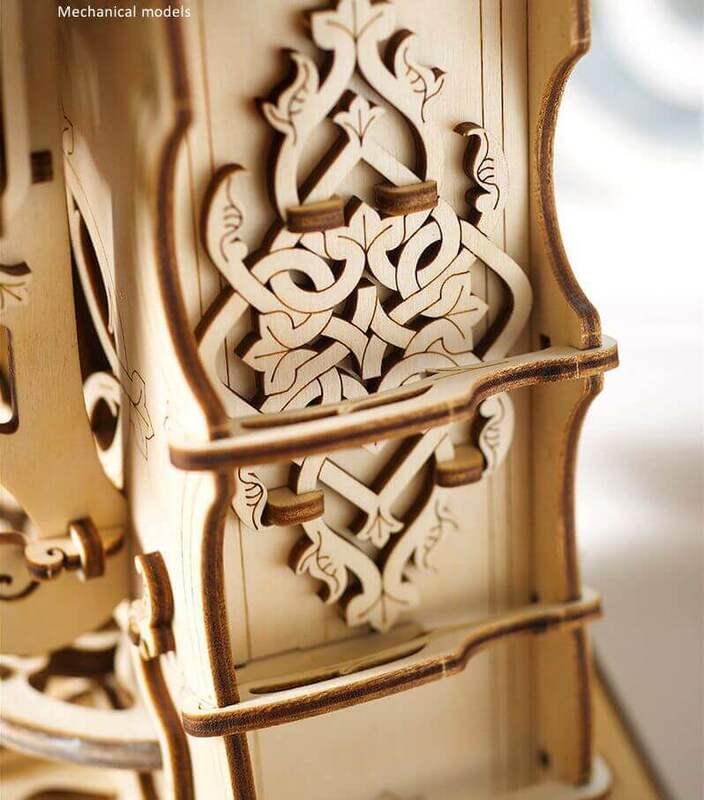 It’s absolutely amazing, the workmanship and the idea. Building it was a great way for me to unwind after a stressful day at the office. I love how eye-catching details of this old-age interment look in a modern form. It fits right into the modern day setting that we are a part of today and I love the historically accurate sounds it produces. While waiting for trick-or-treaters to arrive at our doorstep, I played this small wooden instrument. It made my neighbors wow at the sound and even little children asked me to play it for them after they got their candy. I can’t believe how much joy it brought on Halloween night! 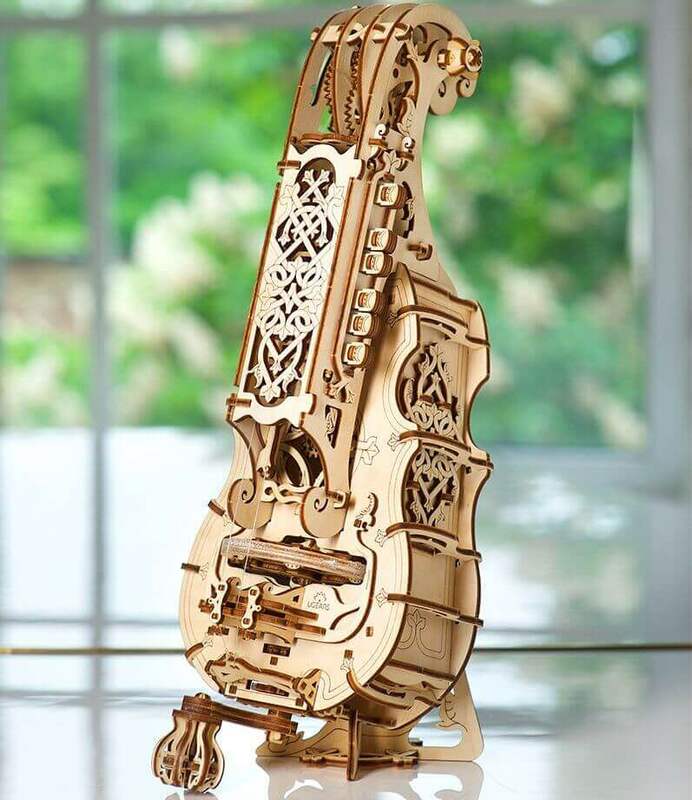 I couldn’t believe my eyes when I saw how beautiful this instrument was when my own son showed it to me. I marveled at its intricate wooden markings. How could few pieces of wood make such a beautiful instrument. My son needed some guidance in putting it together, but said he had a fun time building it and later playing with it. If a ten-year-old boy can find joy in a 3D puzzle, I’m sure any adult can. 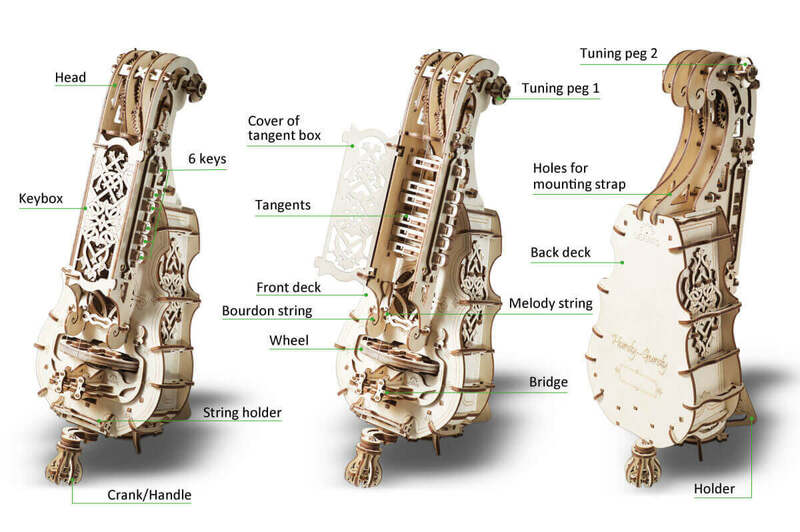 I am intrigued by Hurdy-Gurdy and can hardly wait to get my hands on it. I’ve heard the real instrument played by an Irish musician and was mesmerized by the performance and the melody and look forward to play my own Hurdy-Gurdy. I find no better way to entertain my two boys whenever they get bored. They love the sound of the Hurdy-Gurdy playing. My nieces love to dance to it whenever they visit. Even my wife finds it nice to listen to. I don’t think there is a better way to entertain your kids or guests other than using this small instrument. Hurdy-Gurdy is perfect because its easy to play on, not too loud and produces pleasant tunes with minimal efforts. 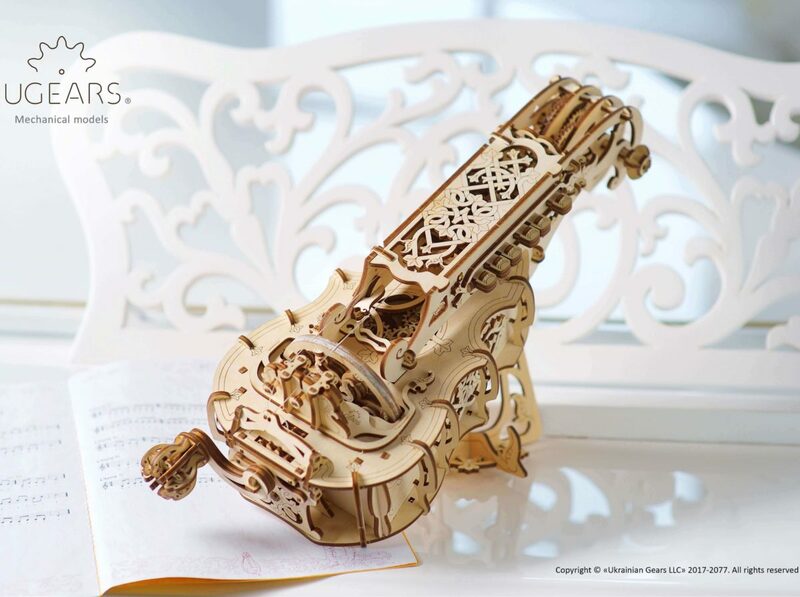 Not only does these small pieces of wood create such beautiful music, they do it in style. I admire the workmanship of this creation and applaud whoever designed it in such a modern day fashion.